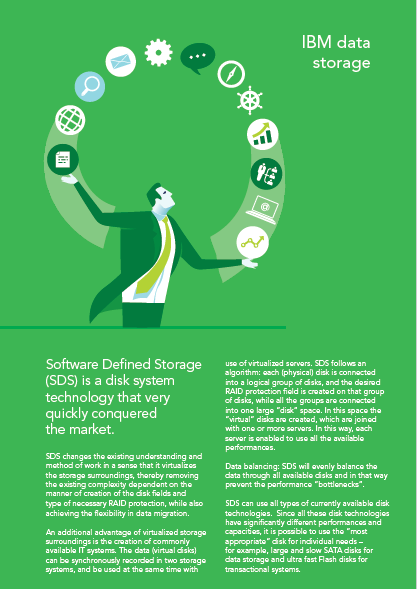 Software Defined Storage (SDS) is a disk system technology that very quickly conquered the market. SDS changes the existing understanding and method of work in a sense that it virtualizes the storage surroundings, thereby removing the existing complexity dependent on the manner of creation of the disk fields and type of necessary RAID protection, while also achieving the flexibility in data migration. By clicking on the picture below download the flyer and for more information please contact us at poslovna.rjesenja@megatrend.com.